The preparation of sufficient amounts of high-quality protein samples is the major bottleneck for structural proteomics. The use of recombinant proteins has increased significantly during the past decades. 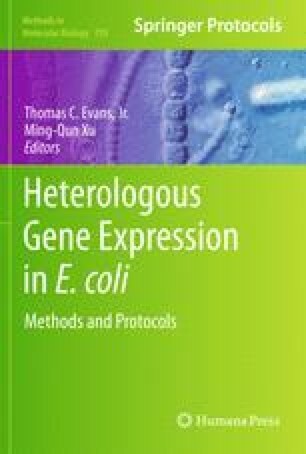 The most commonly used host, Escherichia coli, presents many challenges including protein misfolding, protein degradation, and low solubility. A novel SUMO fusion technology appears to enhance protein expression and solubility (http://www.lifesensors.com). Efficient removal of the SUMO tag by SUMO protease in vitro facilitates the generation of target protein with a native N-terminus. In addition to its physiological relevance in eukaryotes, SUMO can be used as a powerful biotechnology tool for enhanced functional protein expression in prokaryotes and eukaryotes.